I like to think that I can feel the energies of the natural realm, which is comprised not only of the spirit of a place but that of time as well. No better place for me to feel a convergence of these energies is at the beach at dawn during the time of the full moon. It is there and then where I feel a seemingly full dichotomy of energy: night and morning, setting moon and rising sun, land and sea. Then, as I soak in these energies, for a few sublime moments, the dichotomy disappears and I feel union and absolute balance. And where there is balance, there is peace. A response to today’s Daily Post prompt. 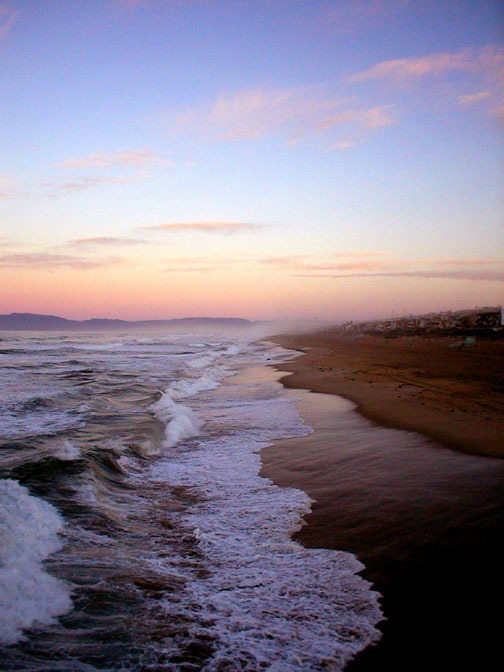 Categories: Photography, Places | Tags: DPChallenge, el porto, manhattan beach, photography | Permalink. I love that; where there’s balance there’s peace. Simple but effective! That image is so wonderful, and the words so true.